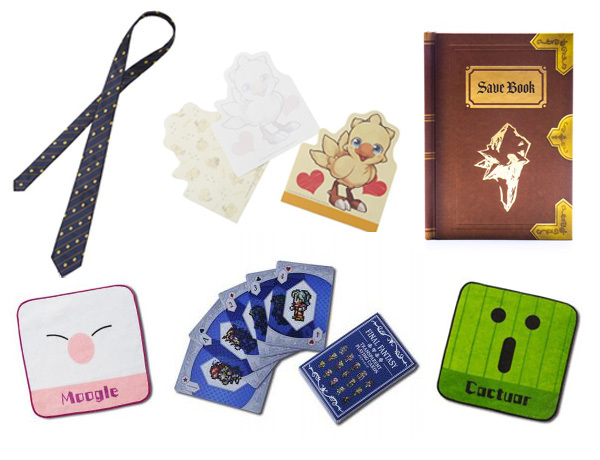 New FINAL FANTASY Merchandise Lineup for North America! 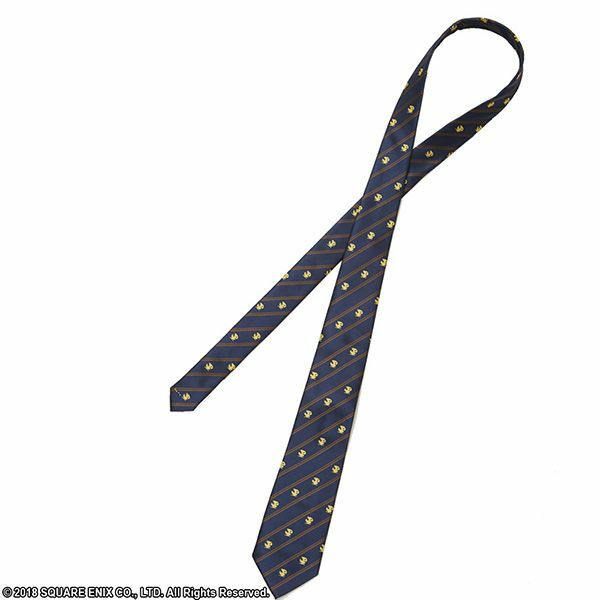 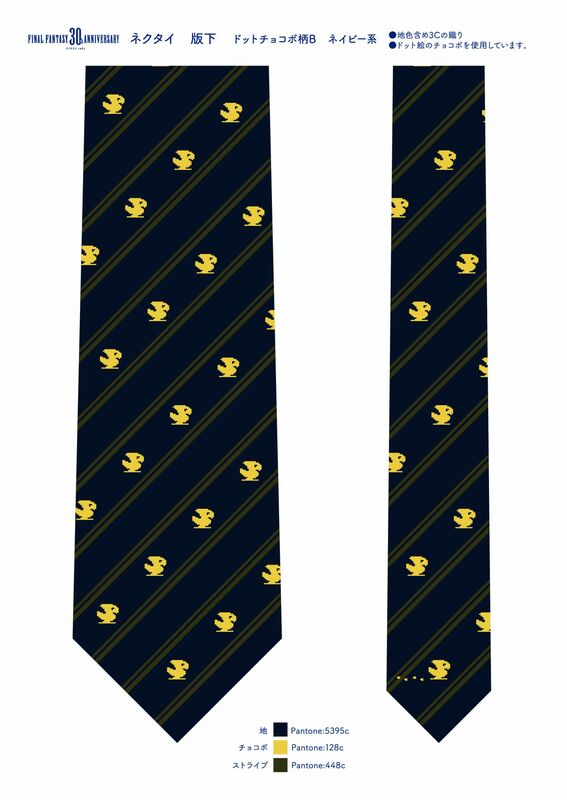 This Chocobo Necktie will help make a fun statement at any meeting or interview, with its Classic pattern and cut it adds just a bit of adventure and whimsy, it'll make any level of fan cry out "Kwah"! 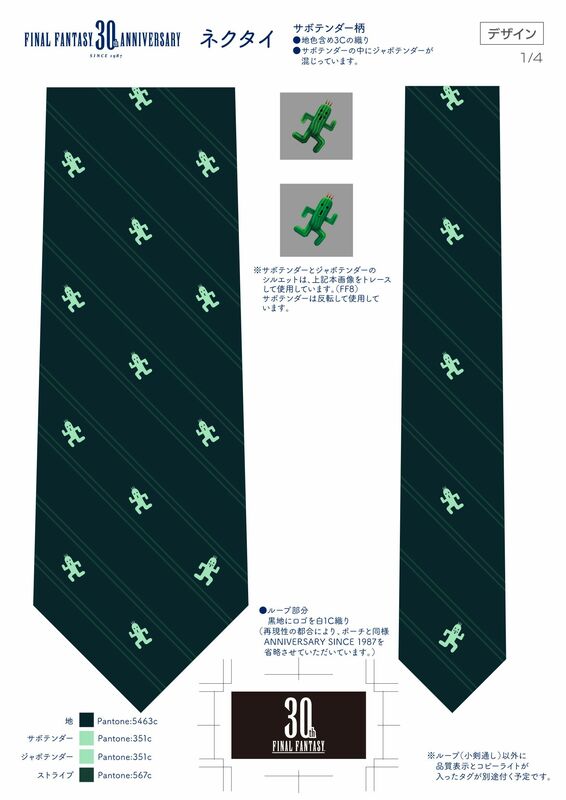 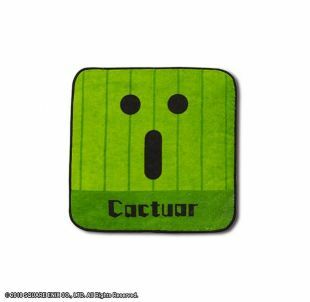 This Cactuar Necktie will help make a fun statement at any meeting or interview, with its Classic pattern and cut it adds just a bit of adventure and whimsy, without the worry of being hit with 1,000 needles during your event is over! 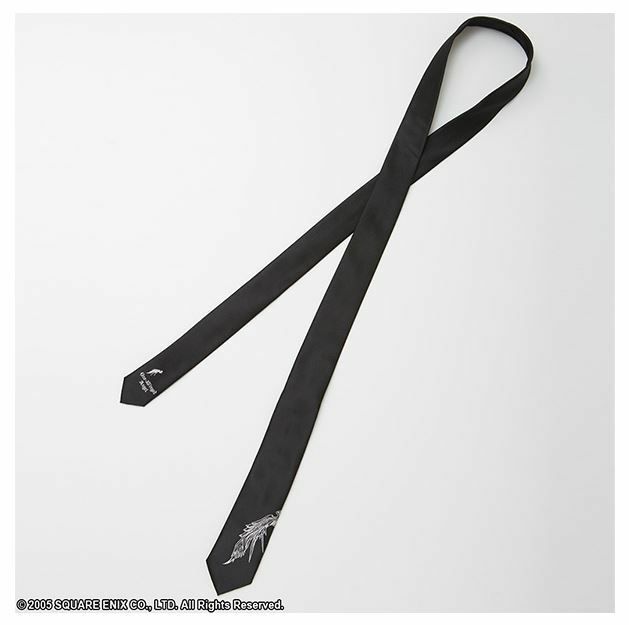 If you’re a fan of Final Fantasy VII Advent Children this stylish Mod inspired ties will do the trick. 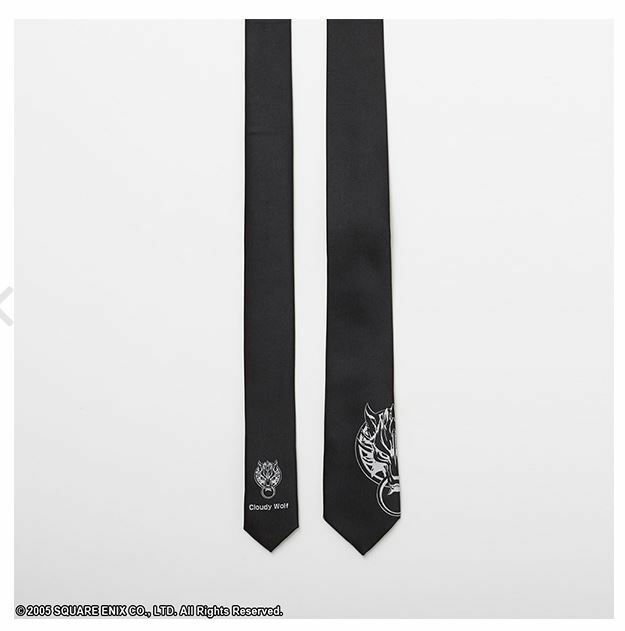 Emblazoned with the Cloudy Wolf symbol on the bottom you can fit in any meeting or formal occasion! 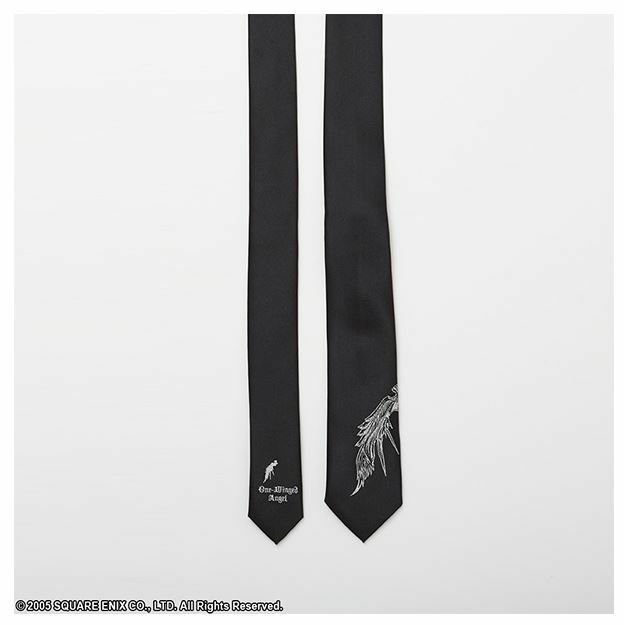 If you’re a fan of Final Fantasy VII Advent Children this stylish Mod inspired ties will do the trick. 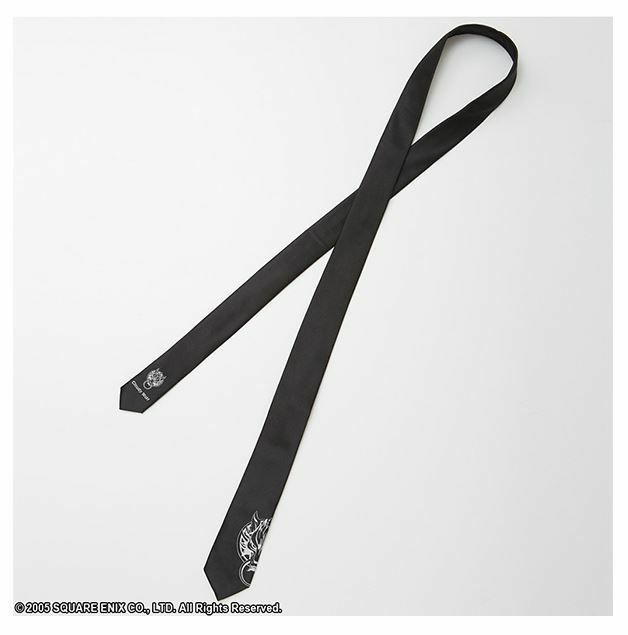 Emblazoned with the One-Winged Angel symbol on the bottom you can fit in any meeting or formal occasion! 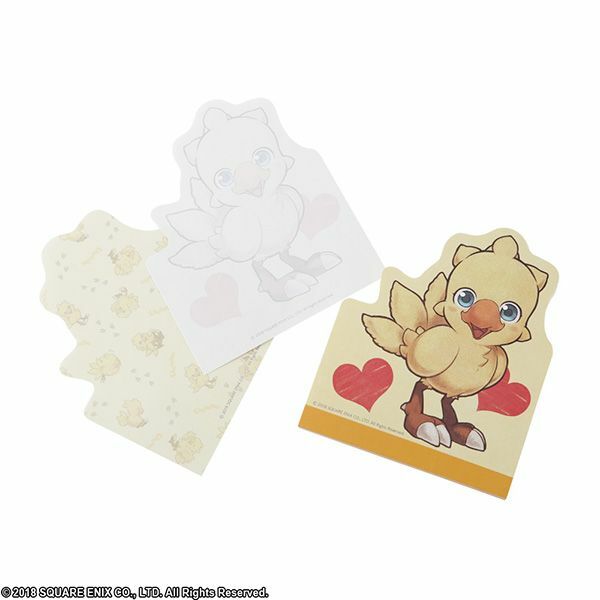 This 5 piece, one pocket clear file set comes with some of your favorite characters! 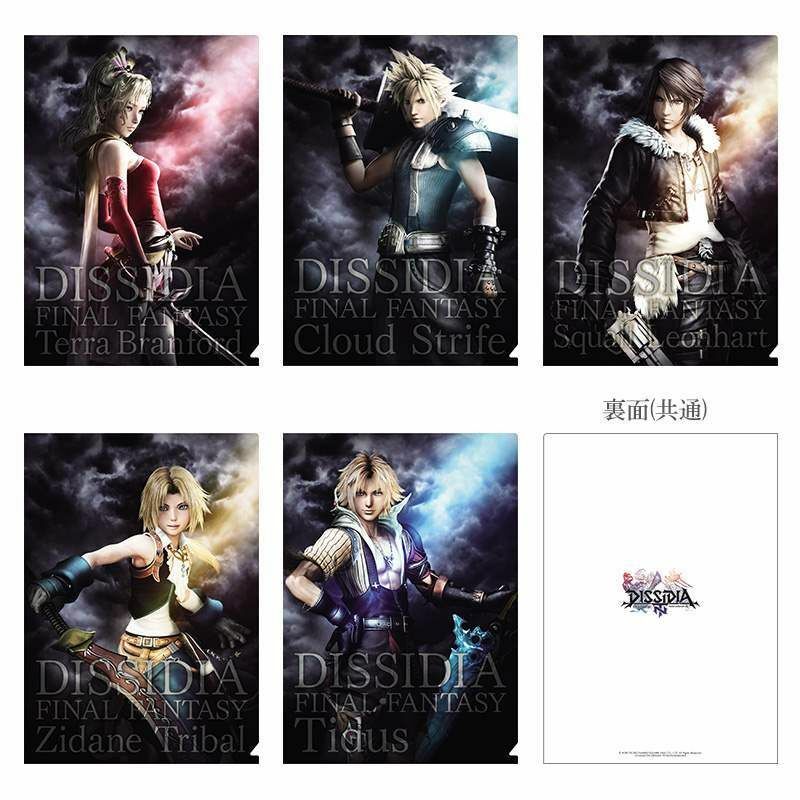 Included in this set are, Terra, Cloud, Squall, Zidane & Tidus . 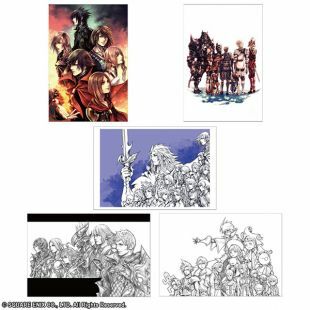 This 5 piece, one pocket clear file set comes with some of your favorite characters! 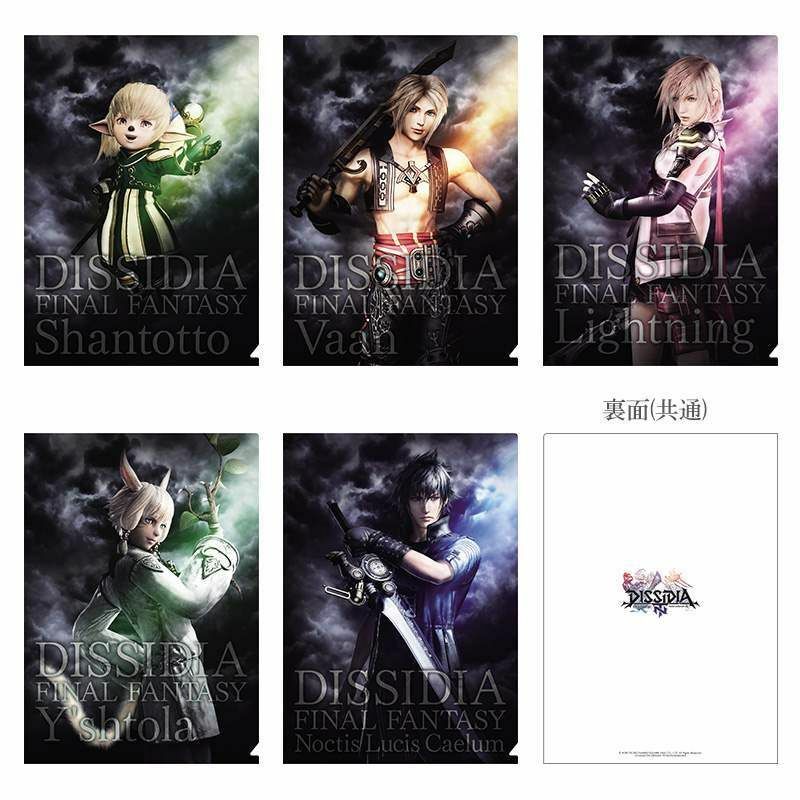 Included in this set are, Shantotto, Vaan, Lightning, Y'shtola and Noctis. 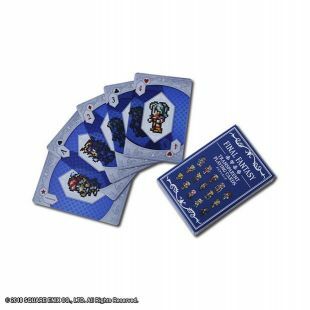 With the spectacular art of renowned illustrator TETSUYA NOMURA, this set of 5 postcards make a fantastic gift or collectible for any Final Fantasy fan. 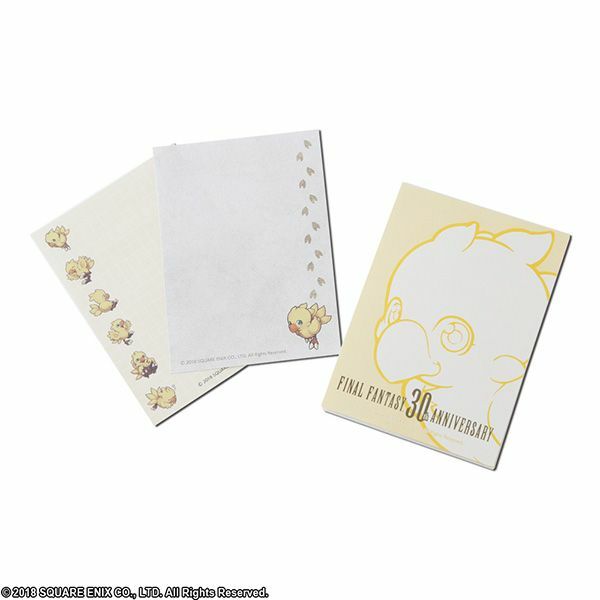 This fun and unique take on a notepad, using the amazingly cute Chocobo, will let quick notes or short to-do lists stand out. 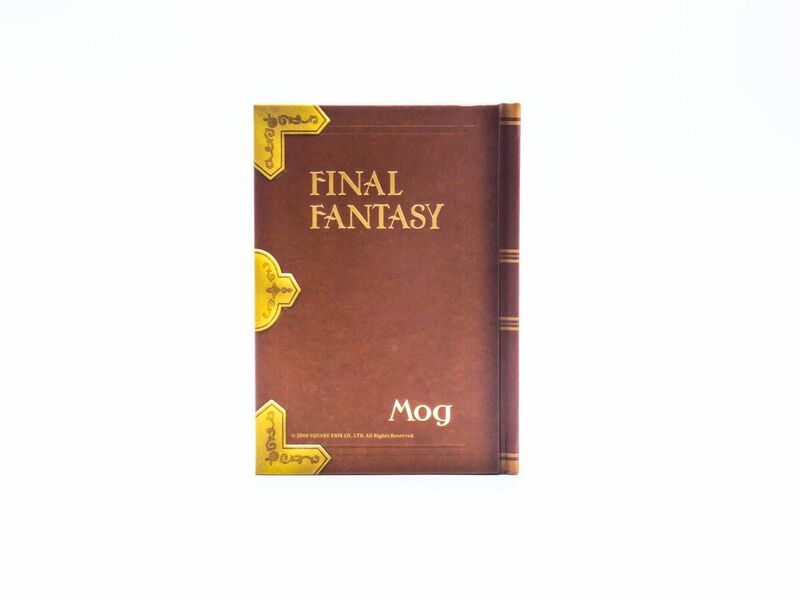 A classically styled notepad but with a fun Chocobo twist! 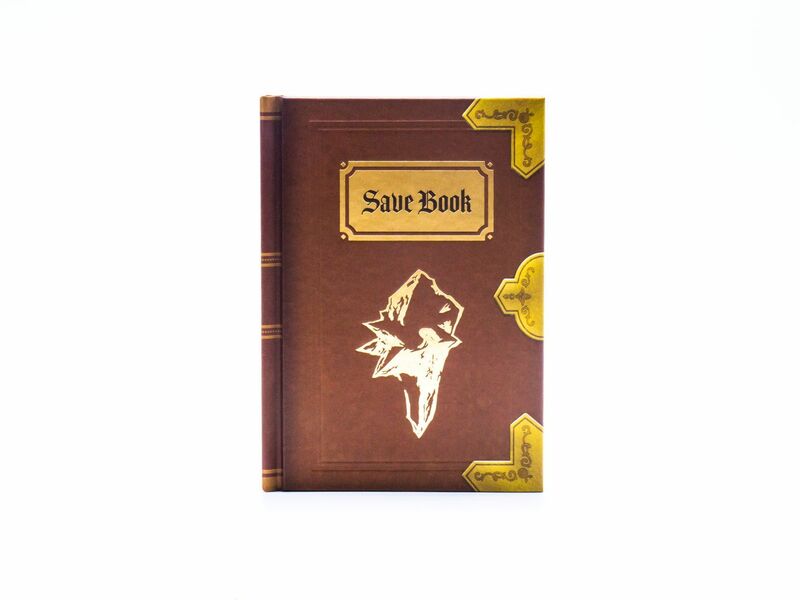 Having Chocobos line your page or footprints on the far edge your notes will but fun and easy to remember. 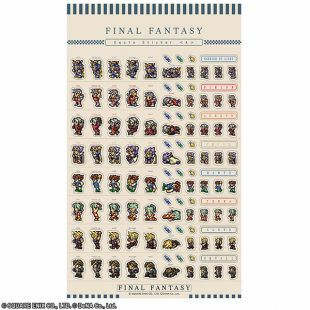 These Premium sticks have a retro 16-bit style; featuring 8 characters from the Final Fantasy universe. 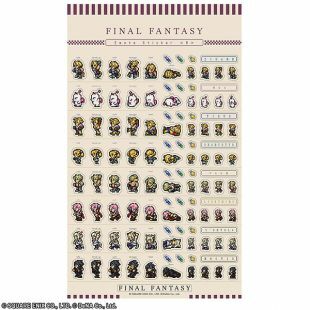 Each character has six medium poses and four small poses to adorn anywhere you'd love to express your mood or show off your favorite character from the Final Fantasy universe. 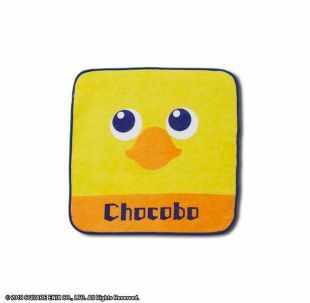 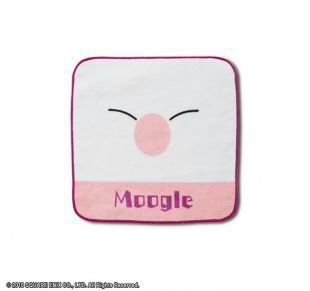 Amazingly cute mini towels with the face of a Chocobo, Moogle and Cactuar from the Final Fantasy franchise. 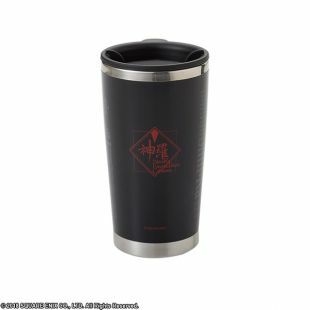 You’ll look be “lookin’ sharp” with this mug emblazoned with the Shinra Company logo and its many departments! 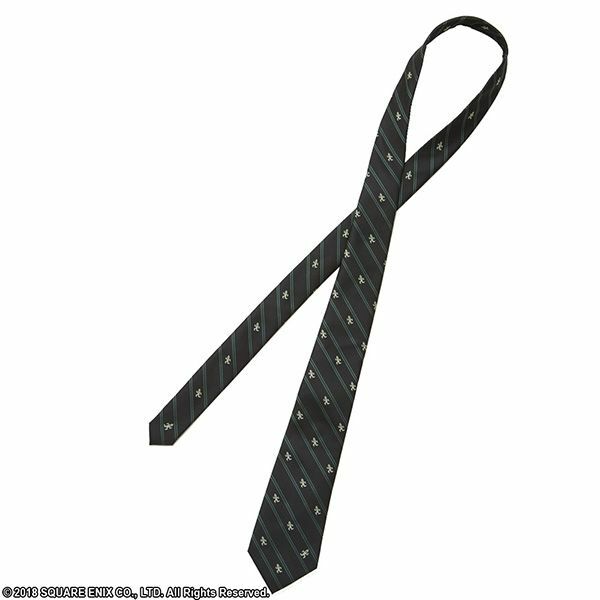 If you work for a powerful company you need a powerful cup of coffee or tea ready to go where ever you’re needed.